This 34mm. 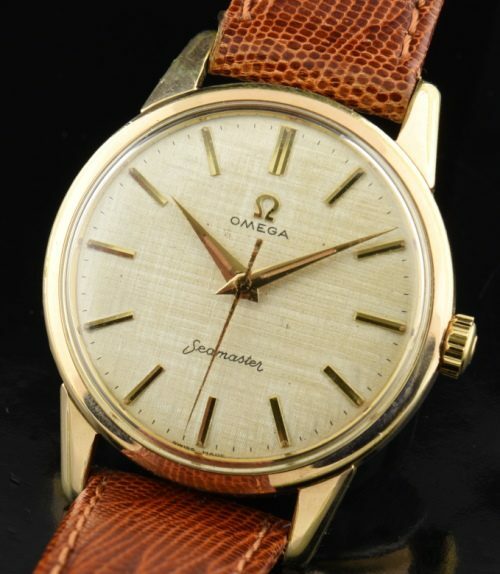 OMEGA Seamaster dates to 1961 and houses a fine caliber 285 (just cleaned and accurate) manual winding movement which shimmers. The gold capped case with steel back has a nostalgic inscription. 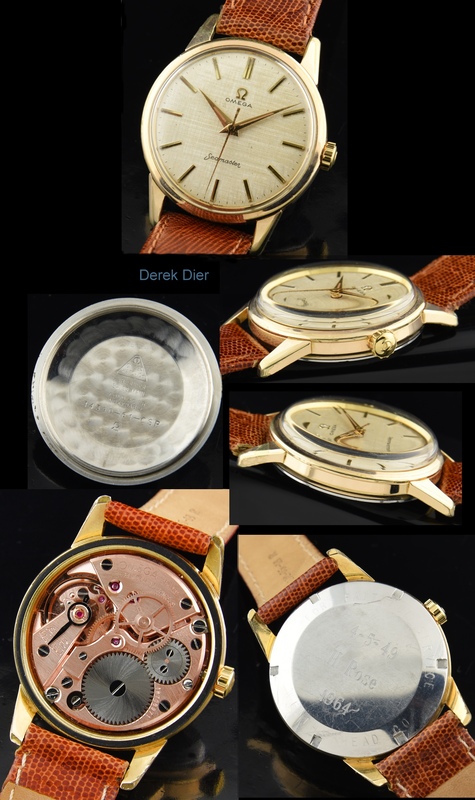 The linen patterned dial is very clean and original, having Dauphine hands and original luminous. The correct winding crown is installed. This watch exudes a sleek and elegant look on the wrist-one you can wear with anything in your wardrobe!